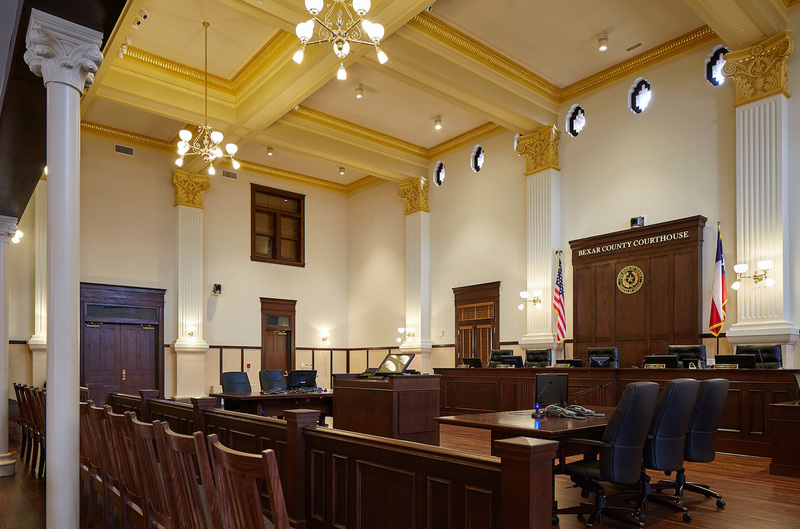 Austin, Texas — Preservation Texas, Inc. has announced that the circa 1896 Bexar County Courtroom will receive a 2016 Honor Award for Restoration on February 18, 2016. The Honor Award will be presented at a special ceremony at the historic State Theatre on Congress Avenue as part of the Preservation Texas 2016 Summit. 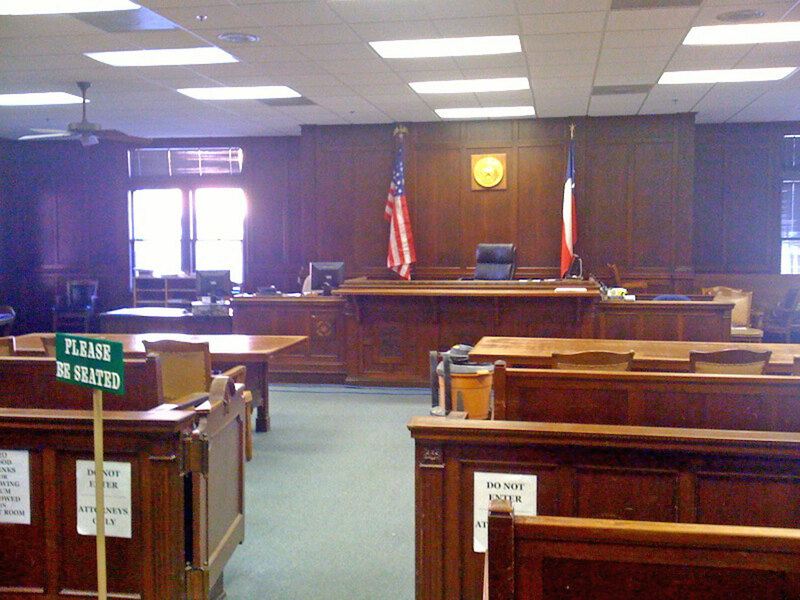 The original Bexar County Courthouse, located at 101 West Nueva Street in San Antonio, included a pair of two-story courtrooms. Over time, they became lost within the building giving way to four smaller, single-story courtrooms. Once vacated, the rooms were gutted down to the original masonry walls. The intermediate floor was then removed, revealing a raw shell of the original double-height courtroom. A photo from a 1914 murder trail proved vital in determining the original courtroom configuration, wainscot details and light fixture locations. Court minutes described a segregated balcony, the reconstruction of which allowed designers to conceal the room’s air conditioning. Original plaster capitals found in the attic were laser scanned in place to create an exact replica for the restoration. The capitals were hand painted, along with coffered ceiling, using period colors. The award-winning project team included Bexar County and Fisher Heck Architects.